Mike Moore | The Journal Gazette C.J. Fair practices for the Mad Ants at the ASH Centre, as they ready for their season opener Saturday. The Mad Ants finalized their roster by releasing Deonte Burton and E. Victor Nickerson. 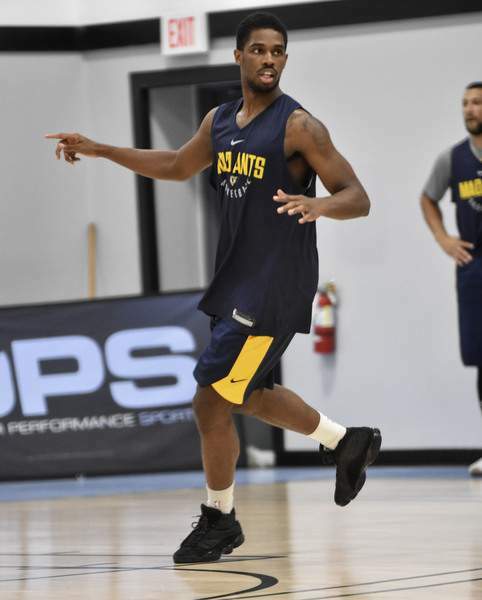 Nickerson had been with the Mad Ants last season and Burton was acquired Oct. 20 from Northern Arizona for a second-round pick in this year’s G League draft. It’s interesting, the Mad Ants used three picks in the draft and dealt one for Burton and the only player from that draft to remain on the roster is Tra-Deon Hollins.